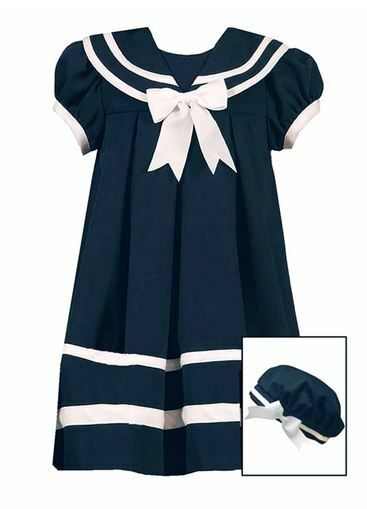 Fabulous navy sailor dress for girls features sailor collar, white bow and white nautical trim. Short sleeved. Back zip. Imported. Machine wash. INSET PHOTO SHOWS DRESS IN Baby or Toddler Size.